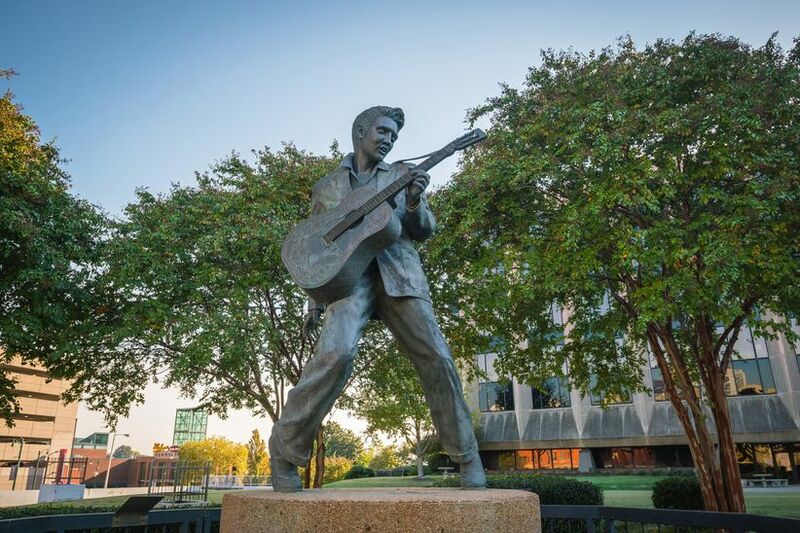 Planning an intimate celebration in the birthplace of Rock ‘n Roll? Here are our favorite small wedding venues in Memphis, Tennessee. Southern couples throwing a reception with 200 guests or less should add these small wedding venues in Memphis, Tennessee to their must-see list. 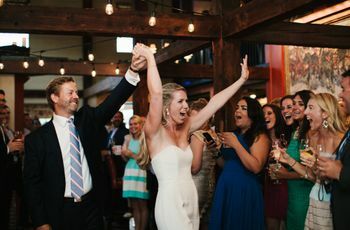 Memphis wedding venues are known for their historic charm and are ideal for creating a romantic and intimate setting for those with a smaller guest list. 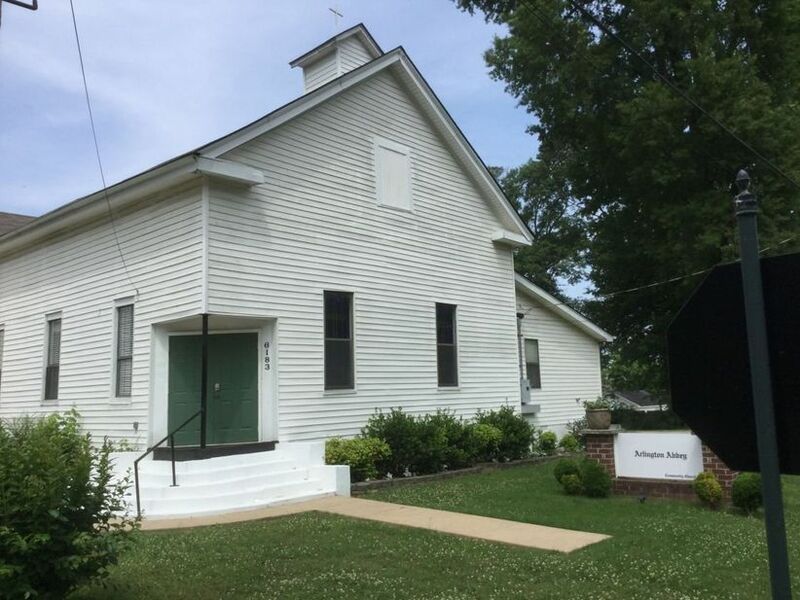 Whether it’s a family-style reception at the Arlington Abbey, or private service inside Graceland’s Chapel in the Woods, couples can plan an extra-personal event at one of these small wedding venues in Memphis, Tennessee. Check out these small wedding venues in Memphis, Tennessee for a memorable affair. 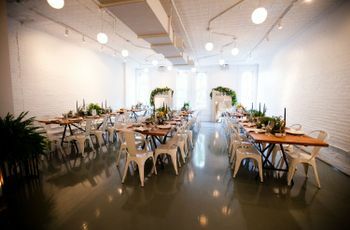 This small wedding venue in Memphis, Tennessee is great choice if you desire a sophisticated and modern space for celebrating. Named after Hugh Lawson White Brinkley, a Memphis philanthropist, Hu. Hotel is located in Downtown Memphis and is known for hosting all types of wedding-related events. The hotel’s ballroom is a popular choice for hosting ceremonies and receptions and it’s also an ideal location for smaller weddings. The Ballroom at Hu has a light and airy feel and can be divided into two spaces, Ballroom East and Ballroom West, for those with a smaller guest count. 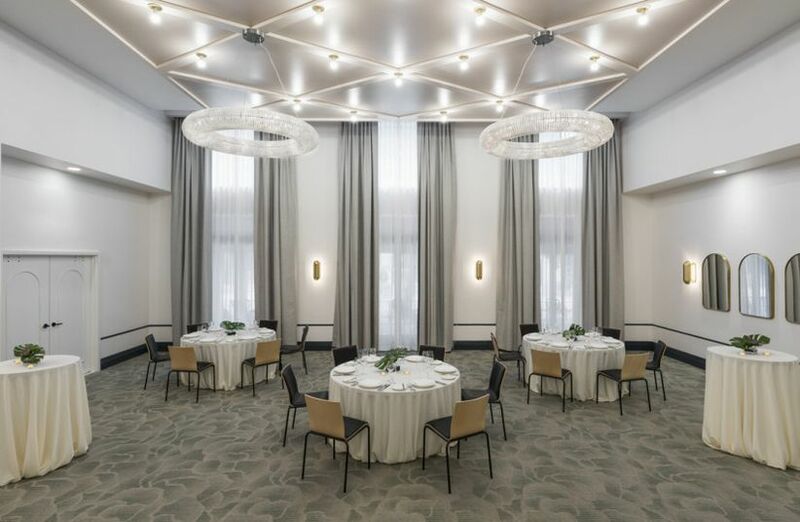 Along with its versatile space, The Ballroom at Hu features contemporary crystal chandeliers, in-house catering, and Beaux Arts-inspired decorations and detailing. No. 2 Vance can comfortably seat up to 75 guests or 100 for a cocktail-style reception and creates a wonderful setting for couples with a smaller guest list. 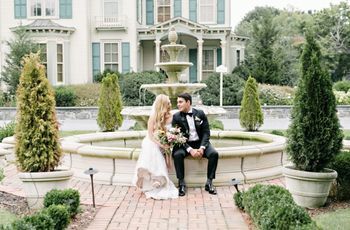 Nestled right on Wagner Street, this small wedding venue in Memphis, Tennessee includes outdoor and indoor locations for couples to host their big day. If you’re looking for an intimate space that also provides views of the Mississippi River, you’re in luck. No. 2 Vance offers up some scenic backdrops of the river for couple portraits, wedding party pics, and more. Along with the venue’s wow-worthy views, No. 2 Vance also has a historic background, since the event space is located in the century-old Ballard and Ballard Obelisk building. Couples looking for an all-inclusive small wedding venue in Memphis, Tennessee will love Bartlett Banquet Hall. 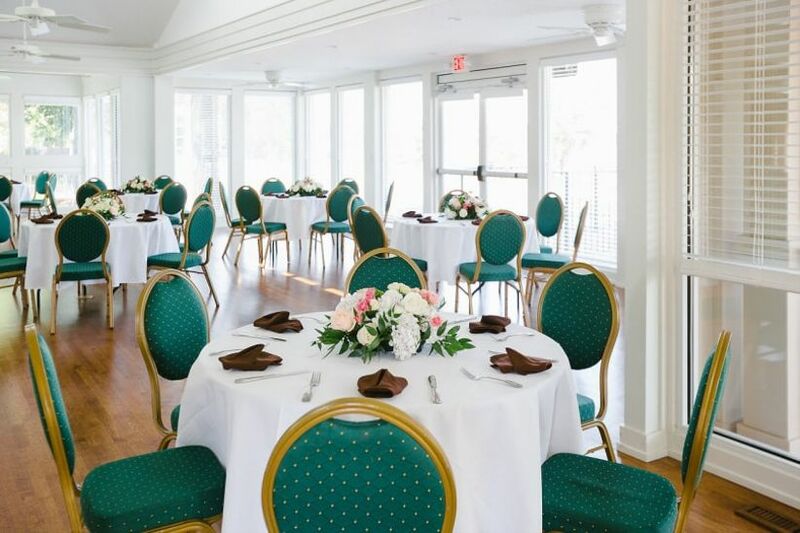 The banquet hall can comfortably seat up to 100 guests and is a fab setting for intimate affairs, like rehearsal dinners, wedding receptions, bridal showers, and more. Featuring an elegant space that comes completely decorated with greenery and fully dressed tablescapes, as well as soft romantic lighting, you can easily evoke a cozy and more personal vibe at this Memphis locale. It’s also known for being quite inexpensive. 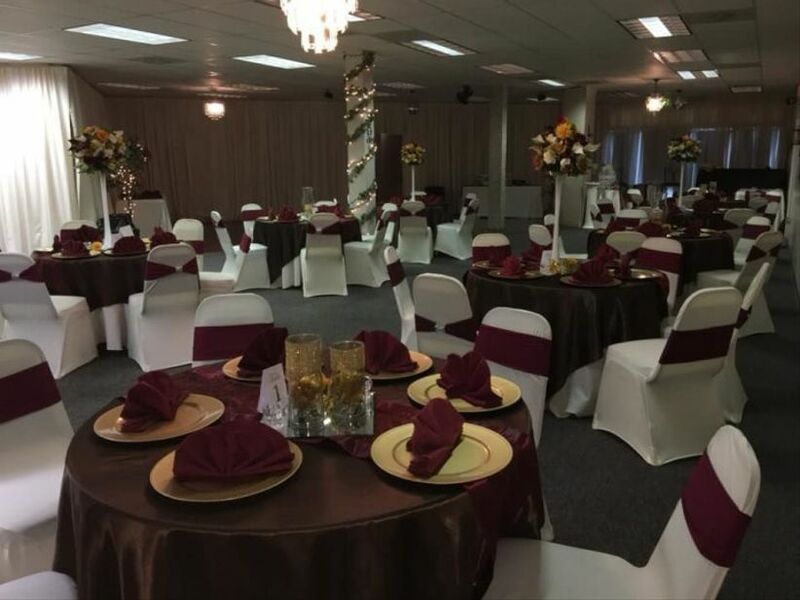 With a starting rental fee of less than $5,000, Bartlett Banquet Hall is known for being an affordable wedding venue in the Mid-South area that provides couples with everything they need to throw an unforgettable bash. Calling all Elvis fans! Graceland’s newly-built Chapel in the Woods is made for couples who idolize the “King of Rock and Roll.” Located on the historic grounds that surround Elvis Presley’s Graceland estate, you can exchange “I dos” with your nearest and dearest in a one-of-kind setting. 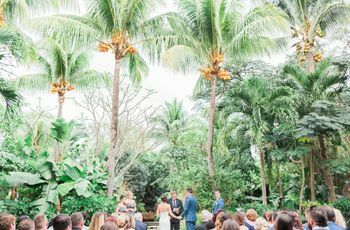 Graceland’s Chapel in the Woods can comfortably seat up to 75 guests and includes an intimate patio area for you to continue the celebrations well after the first kiss. Along with a private ceremony and reception area, Elvis Presley’s Graceland offers couples a few special services, such as photography, floral arrangements, wedding cake, and even an Elvis-inspired limousine. 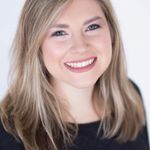 So, if you’re hoping to have an unforgettable event and don’t have a large guest list, then you should check out this iconic small wedding venue in Memphis, Tennessee. 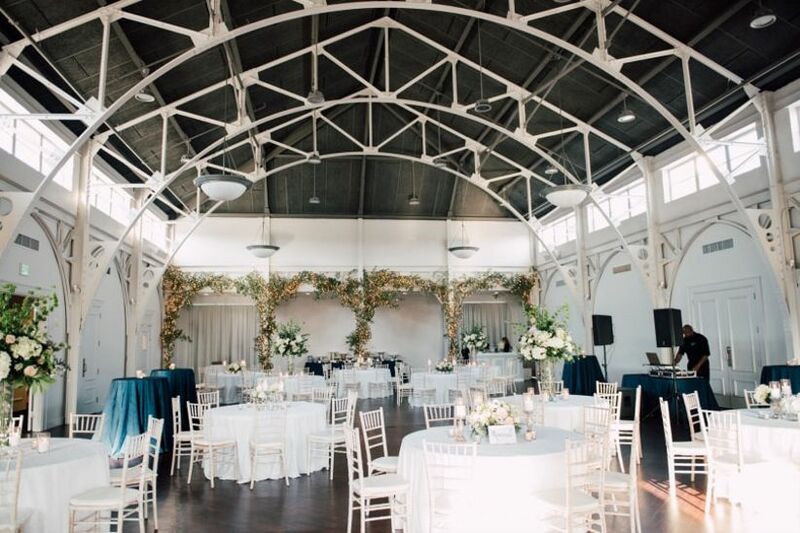 Couples with a guest list of 150 or less and are searching wedding venues in Memphis, Tennessee should add The Atrium at Overton Square to their list. 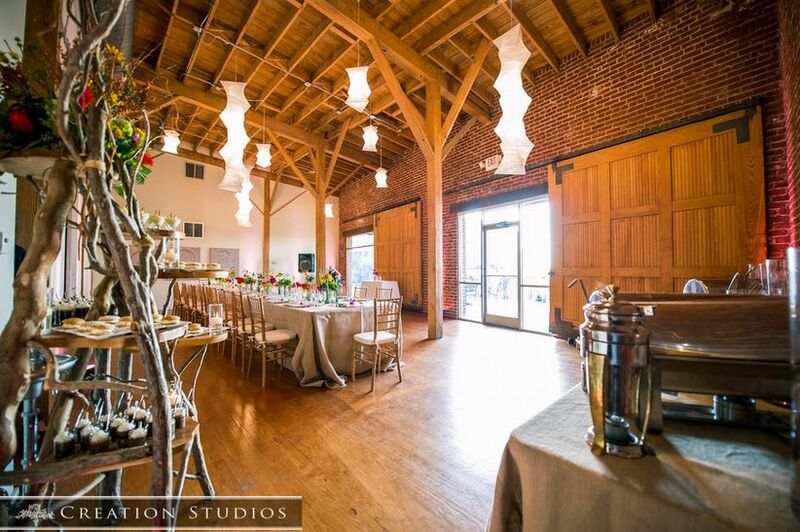 Located right in Overton Square, this state-of-the-are event space creates a modern space for intimate weddings. Guests will be greeted with stunning steel arches and high ceilings, which makes the venue appear larger than its actual size. So, if want a small wedding venue that doesn’t feel like you’re cramped on space, then you’ll love The Atrium at Overton Square. Wedding packages also include several amenities, such as Chiavari chairs, a variety of different table rentals, and even an event manager to ensure your big day runs smoothly. River Hall at the River Inn is another small wedding venue in Memphis, Tennessee that also provides sweeping views of the Mississippi River. The waterfront property has several indoor and outdoor spaces that can be used for creating an intimate vibe. The private courtyard can comfortably seat up to 96 guests and can even hold a tent in case of rain or bad weather. 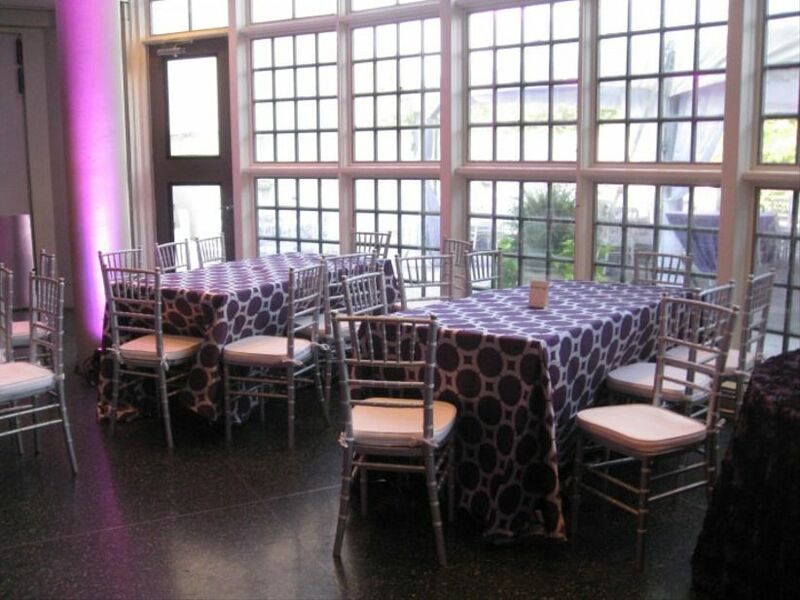 The River Hall also has several restaurant spaces that can be used for formal or family-style receptions. Featuring Southern and European styles of decor and architecture, River Hall at the River Inn is a wonderful choice for smaller celebrations. 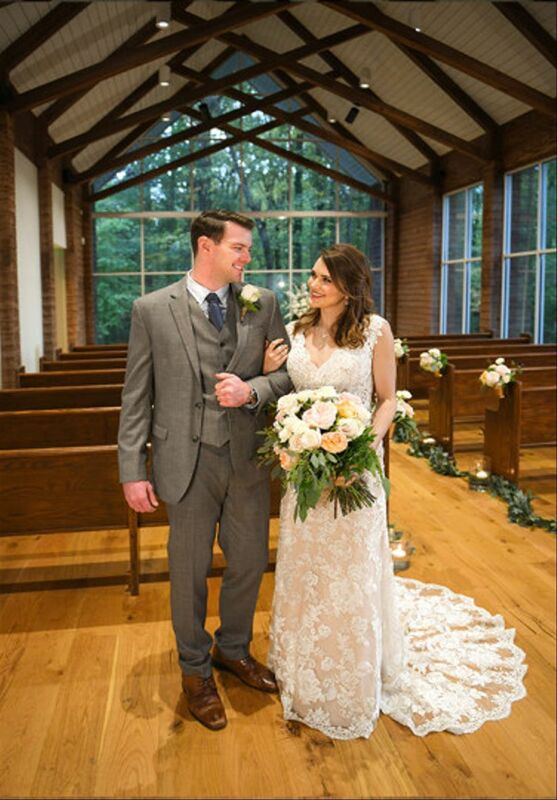 Located just thirty minutes from Memphis, in Arlington, Tennessee, Arlington Abbey is a great choice for couples planning an intimate affair. Arlington Abbey has two event spaces —The Sanctuary and The Hall — that can both hold up to 140 guest for ceremonies and receptions. The venue is also filled with charming historic details, since the church is one of the oldest buildings in the area. Built back in 1871, couples with a smaller guest list can easily plan a memorable event inside this beautifully restored historic building.